Healthy Smiles Missouri - Family Dental Care | Dentist Ellisville MO - Dental Care | Dr. Andrew G. Mitchell, DDS & A .
Ellisville Dental is a family-friendly dental practice where we offer comprehensive services for children, adolescents, adults, and seniors. We believe that our number one priority is to improve the health and beauty of our patients’ smiles in a gentle, yet professional way. We strive to deliver a comfortable dental experience. We make sure that when children visit our office that they have fun and learn to enjoy dental care. Whether you are bringing your child in for their first visit, or you need your oral health restored with complex restorative treatment, we can handle it all. Our experienced team can meet the needs of you and every member of your family. Preventative dentistry is a particularly strong area of focus for the team at Ellisville Dental. 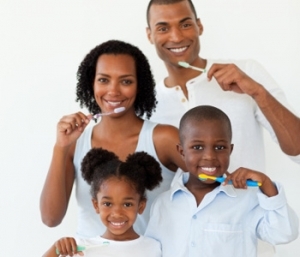 We encourage patients of all ages to maintain routine dental visits every six months. This is important because it allows us to professionally clean the teeth and remove any plaque buildup that can lead to decay. It also allows us to identify any potential issues early and provide treatment that is less invasive. If you have a dental emergency, we are available to get you the care you need as quickly as possible. In many cases, time is of the essence when it comes to trauma to the teeth. Our team is available when you need us most. If you are in the Ellisville area, please call us at (636) 227-6945 or (636) 227-0400 today.